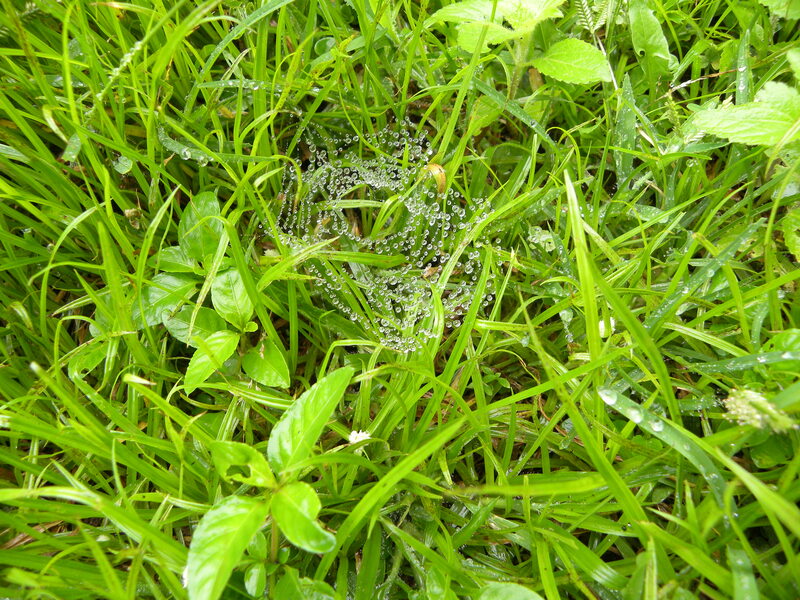 While out on dog poo patrol in the early morning, I came across this spider web in my beautiful meadow (*click on the pic* to see how beautiful!). The meadow is coming on very nicely since the head executive gardener Tobias Gumede went on leave. A wonderful chap, he struggles with the concept of wu wei – or “Masterful Inactivity” (more about that here: https://bewilderbees.wordpress.com/2014/03/23/wu-wei/ ). He feels he ought to be DOING something and I often have to sit him down and ‘splain how I want, very often, to just ‘let it be’. He does understand (its been over ten years now, after all) but he likes to make sure. He got back this week and we set out a new, even more laid-back protocol for 2015. 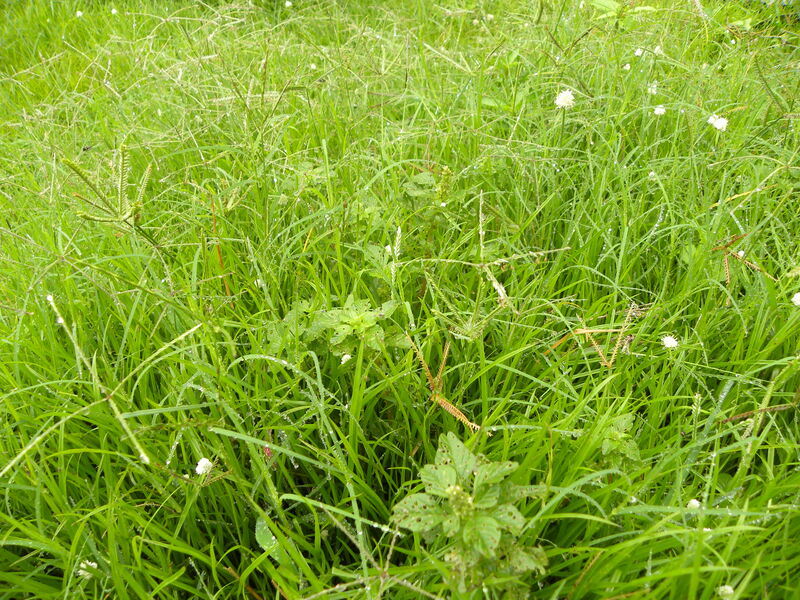 Here’s the admonition: If you’re tending your garden closely, and mowing your lawn edge-to-edge, if you only have one type of plant in your lawn (monoculture!) and if you (you don’t!) use any pesticide, you are not – by any stretch of the imagination – planet-friendly. Go on: Find an area of your garden you seldom visit (or create such a space) and let it run wild. Save time, save money AND the lil creatures will love ya. Wu Wei!! Things are actually fairly easy . . .